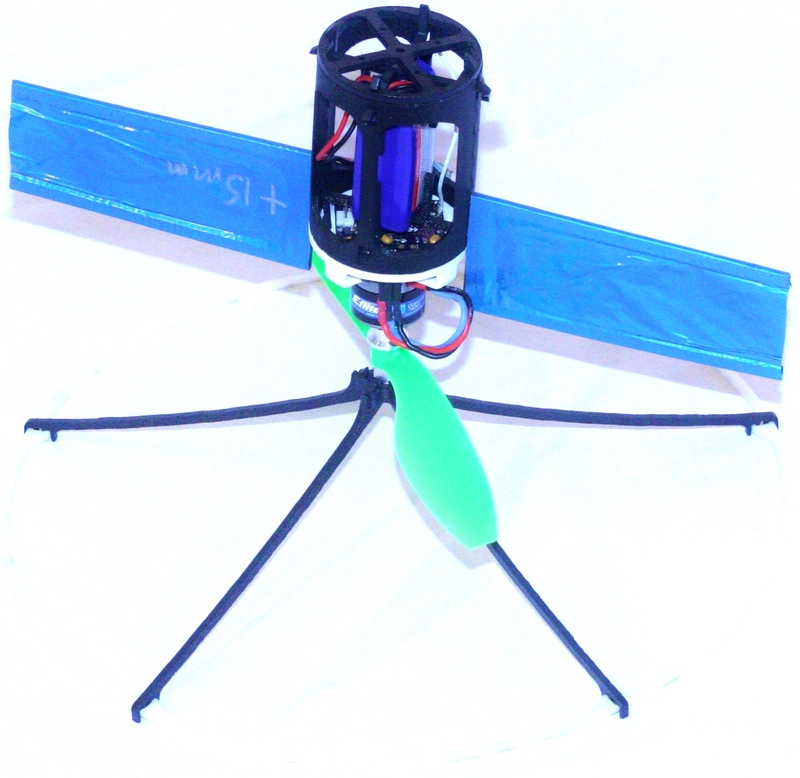 In an effort to build one of the world’s smallest flying vehicles, we built a flying vehicle with only two moving parts connected by one motor. Because this vehicle cannot control its attitude with its one actuator, passive stability is a required trait, so we derived design requirements for making passively stable vehicles. Recent advancements in higher power and energy batteries (lithium polymer), efficient motors and controllers (brushless DC), and light but strong materials (carbon fiber) enabled micro aerial vehicles (MAVs) in the last twenty years. MAV applications proliferate as vehicles continue to increase capability and decrease in size, but smaller vehicles means less room for actuators and complicated mechanisms. One solution is to get rid of the complicated mechanisms and actuators and replace them with a vehicle design that passively changes its attitude. We can classify MAVs into two categories: those with angular momentum and those without. 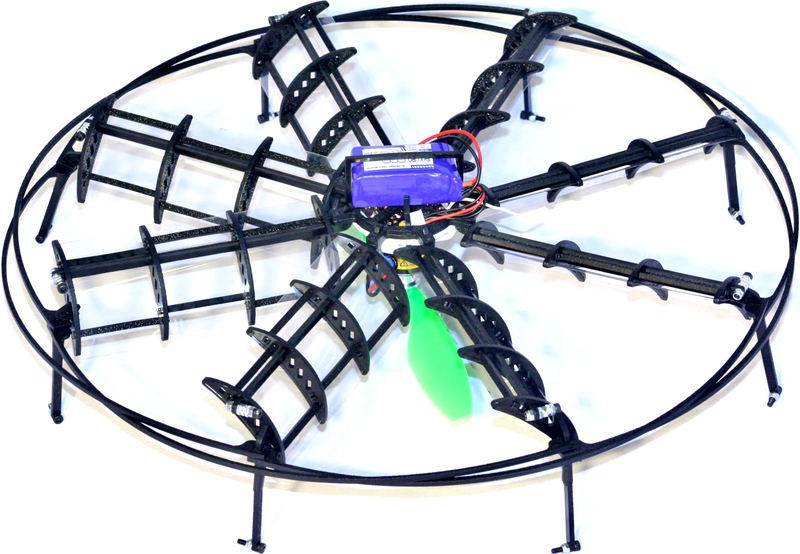 Some vehicles without angular momentum are ornithopters and multi-rotor vehicles with the same number of symmetric, rigid-hub propellers spinning in each direction, like co-axial helicopters and quadrotors. These must have a center of pressure (COP) above the center of mass (COM). This creates a restoring moment whenever the vehicle moves through the air. Some vehicles with angular momentum are rigid-hub traditional helicopters, Chinese tops, and Maple leaf flyers. These require differential lift to cause an initial moment about the direction of flight, then gyroscopic precession causes the restoring moment in the desired direction. May 27, 2014 | Filed under Flying Devices, Uncategorized and tagged with Piccoli.